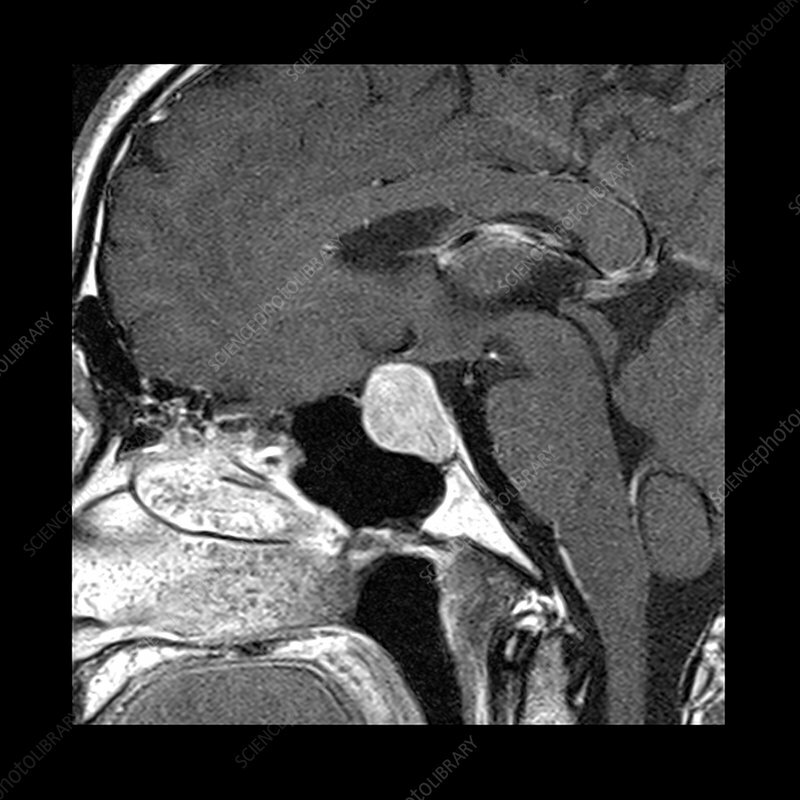 This lateral (fromt the side) MRI image of the pituitary gland shows homogenous enlargement extending into the suprasellar cistern and compressing the optic chiasm along its superior margin. A macroadenoma measures more than 10mm. MRI is the diagnostic test of choice in the evaluation of the pituitary gland.